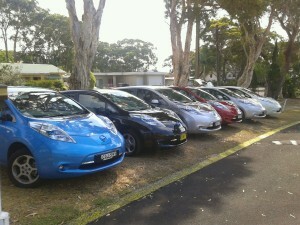 On the 27 of October met up with some LEAF drivers from Australian LEAF Owners Forum at Sun Valley Tourist Park see the above picture for a line up of their Leafs. It was a good meet up most of them had not met before and basically the whole meet up was based around interest in the cars. so naturally the talk of the next meet up came up and I suggested next years 2014 hunter EV festival it’s actually down for a weekend this day 1 at the race track day 2 the expo at the foreshore. 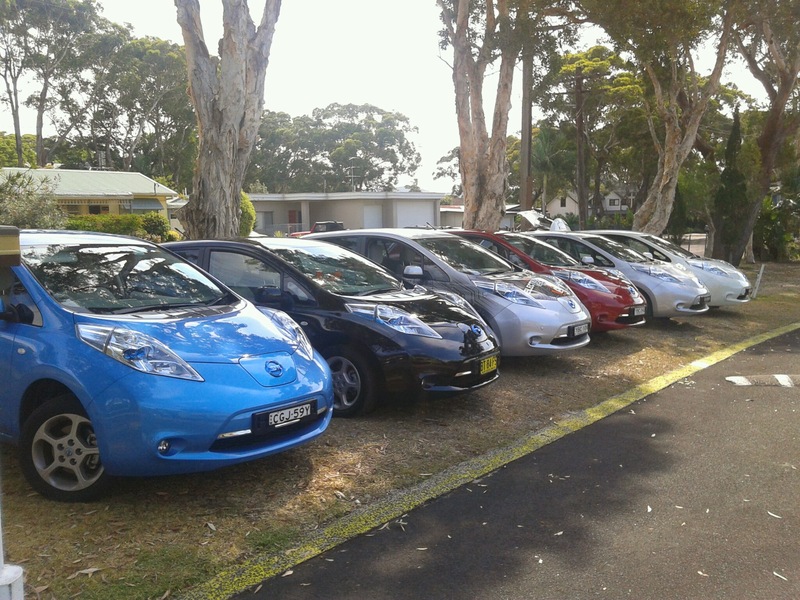 In the lead up the the 2014 hunter Electric Vehicle festival weekend I’m canvassing Newcastle accommodation for places that are Electric Vehicle friendly so i can provide a list to out of town EV drivers. So the first question is would you like to be added to the list ? The last piece of information I need is if there is a surcharge to the accommodation cost for EV charging and how much will it be? Previous PostCharging InfrastructureNext PostBetterplace, the first to fall.